When can you really call a place really home? I’ve been thinking about that a lot since we just arrived at the one year mark in Warsaw. And then it hit me: as an expat, it is in when you can recommend not-so-easy to find local services. Just last week I did that. I gave out the name of a swimming instructor that teaches in English to a friend that has been living here in Warsaw a long time. That may not be in a big deal when you are living in your home country and speaking the language but it means something, at least to me, living as a non-Polish speaking resident of Warsaw. It took me a while to find this instructor. He is Australian so coaches in English and worked with me on the pool I wanted to go to and the type of lesson I wanted to organize for Miss H. He also had a website (instead of just a mobile number, which I had for another English speaking coach) so I could check him out properly. He turned out to be an excellent coach and great with children, and I have been recommending him to friends and acquaintances ever since. Miss H has gone from ‘fearless and I think I can breathe in the water’ to ‘I can do the forward crawl and the frog kick and mom I will not drown so stop worrying’ in the process of a few short months! 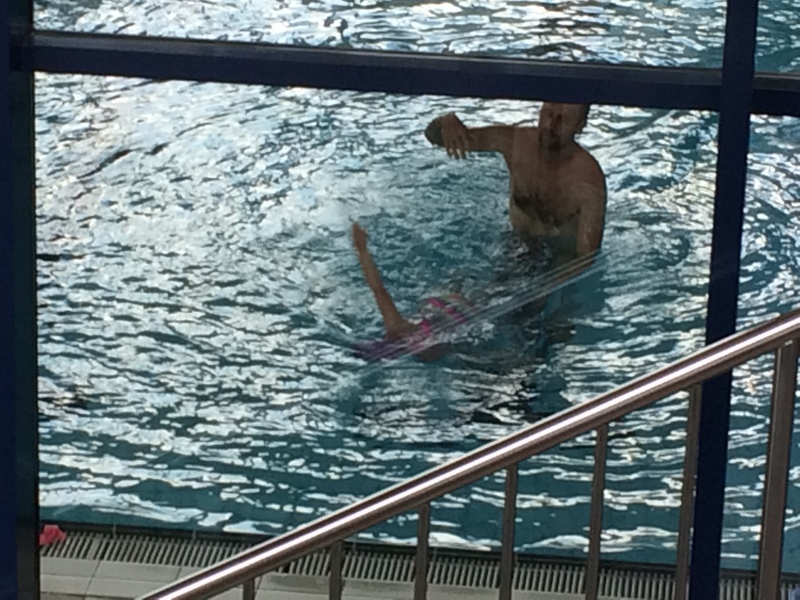 Here is his website if you live in Warsaw and are interested: Anthony Personal Swim Trainer. And, if you want a nice pool to go to where you can do laps and the kids can do slides, then Wodny Park in Mokotow is the place! I’m so glad that I could connect friends with Anthony and Anthony with friends. Now: I need to do a better job of sharing those great finds! Marlene, I KNOW. I think he is getting rather booked up now but I decided I need to play it forward more thanks to our discussion the other day!